See more objects with the color maroon rosybrown saddlebrown dimgrey or see all the colors for this object. 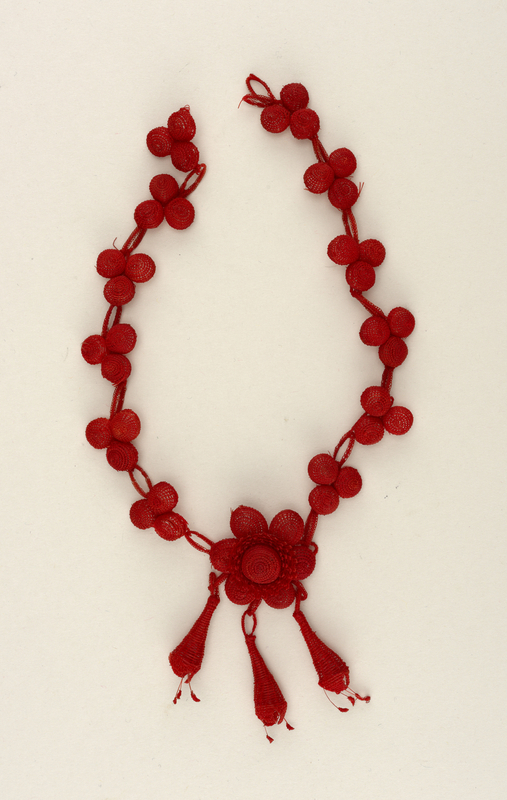 This and 2 other objects are a part of a set whose first object is Set Of Necklace And Bracelets (probably England), ca. 1830. This is a Necklace. It is dated ca. 1830 and we acquired it in 1992. Its medium is dyed horsehair. It is a part of the Product Design and Decorative Arts department. This object was purchased from Ms. Valerie W. Gehry and fund: Ida McNeil Memorial Fund. It is credited Museum purchase through bequest of Ida McNeil in memory of Lincoln C. McNeil and Catherine McNeil.